In the security guard industry, there is a tremendous level of complexity and market factors that are creating various challenges to reduce costs, improve profitability and operate in the most efficient manner possible. It’s one thing to theorize about market challenges and make assumptions, however it is far more valuable and insightful to take a more quantitative approach and analyze data points to examine trends in security guard operations. 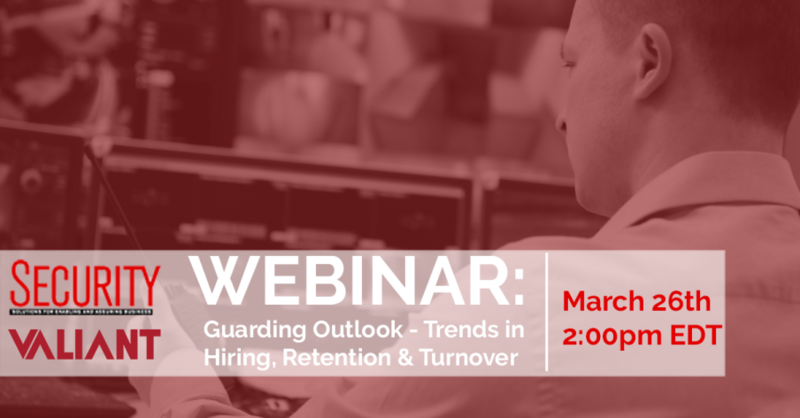 In an upcoming webinar and market report, we will look at a comprehensive set of data from the Security Guard sector that outlines not only the key challenges facing guard companies today, but also look at how technology is becoming a mitigating factor in their operations. Compiling a data set from a wide range of Security Guard Companies was an important factor in ensuring a wide range of responses, in order to get a clear picture of top challenges and operations. We conducted a survey of a sample set of guard firms within the U.S. ranging in size and scope. 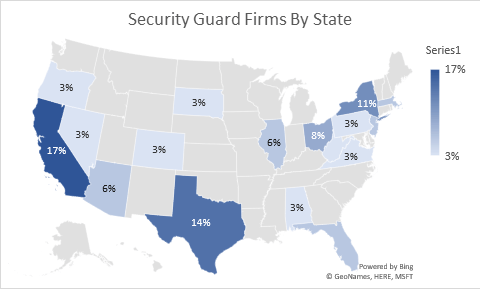 The guard firms that participated spanned a wide range throughout the continental U.S., however the majority of guard firms centered around California, New York, and Texas. This is in line with the market distribution, which is similar across the wider market. Looking at the size of the firms in the market, we saw an interesting distribution in terms of number of employees. 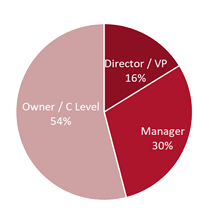 Again, looking at the distribution, the largest grouping is under 100 employees per company. 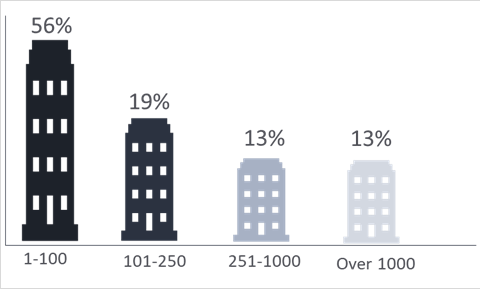 This is not surprising, since the wider market has a larger segment of the market that is on the Small to Mid-Sized Business size. 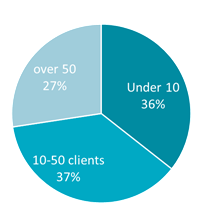 The size distribution fits in line with the wider market. In terms of the seniority level of individuals that were surveyed, we saw a larger distribution of senior level employees that participated. 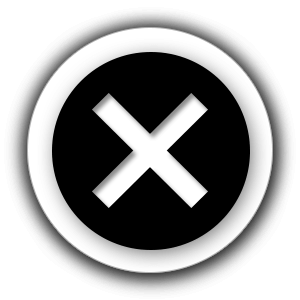 This is typical for many security guard firms; the owner and C-levels are very much involved in the operational aspects, especially the smaller sized organizations. This also provides a unique perspective on the results of the data; having a top-down view provides a much more accurate viewpoint on the operational aspects of Security Guard Operations. What we will cover, in detail, is the top challenges faced by guard firms in the industry today, and how turnover is a catalyst for other factors, such as Non-Billable Overtime and Profitability Margins. How does the lack of resources feed into the need to fill posts and incur Non-Billable Overtime? How does Non-Billable Overtime impact margins? These are all data points we will be covering. If you can’t join us, but would like to be get a copy of the report – register anyway, and you will be guaranteed to receive the report which will launch right after the webinar. There are so few quantitative reports for the guard industry – this is our way of putting the market trends in the hands of operators to help them gain visibility and control on their business operations.